Music therapy with seniors is incredibly valuable, but it can be difficult to understand and to explain. How is what a music therapist offers different than what any musician could offer as an entertainer? Let me describe the session I just had today as one example. Today’s music-making session was with a group of seniors who meet in a church basement once or twice a week for a day program that offers a range of activities, including exercise, craft projects, games, music, and a meal. These folks live in their own homes but have some long-term health concerns, incuding the cognitive difficulties that accompany the early stages of dementia. Group members generally need some extra social support, especially the opportunity to share their lives with other people. I come to this group twice a month for music-making sessions. Today was the group’s Valentine’s Day party, so the room was already decked out in red and white. We started our session as we usually do, with “He’s Got the Whole World in His Hands” as our welcoming song. I then told the group that we were going to have LOVE songs for Valentine’s Day, an announcement met with smiles and perhaps a few eye rolls. We started our love-themed music experience with a little movement to music to a recording of “Let’s Never Stop Falling in Love” by Pink Martini. I demonstrated various movements that fit the rhythm and mood of the song while the group members followed along, dancing in their seats. Sometimes I ask them to show off their own dance moves for everyone else to follow, but the energy didn’t seem right for that today, and I wanted to get to more singing and song discussion in the time we had. After everyone was warmed up physically and mentally, I reintroduced the love song theme and asked whether anyone had favorite love songs for us to sing together. No one volunteered any, so I suggested that we start with songs about falling in love. I chose the 1884 song “While Strolling Through the Park One Day,” not because any of the participants were around when the song came out (they weren’t!) but because it was a song popular in movies during their lifetimes and because it tells the very specific story of two people meeting each other in what is presumably the first step in falling in love and having a long romance. We sang that song twice. Many of the group members sang along, at least for the familiar first two lines. After we finished singing, I commented that the song tells the story of two people meeting and falling in love at first sight. I then asked whether anyone wanted to tell their own stories of meeting and falling in love with their spouses. (It so happens that all of the group members had been in long marriages, although some of their spouses had died.) The one married couple that attends the group together got the ball rolling by telling about their first date, and soon enough, nearly everyone was sharing their own love stories – how they met, how they proposed, how they grew in love over the years. For my part, I helped the conversation along by asking some clear questions (such as, “was it love at first sight or did it take a while?”) and by sheepishly sharing my own love story at their request – sheepishly because my four year marriage doesn’t even approach their 40-, 50-, and 60+ years of marriage! We spent twenty minutes sharing love stories. When the conversation began to reach its conclusion, we started singing again. Still, no one had favorite love songs to request, so I suggested “Let Me Call You Sweetheart” and “Love Me Tender,” two songs that I knew were familiar to the group. I commented that there were a lot of long marriages represented in this group and asked whether they had any secrets to share for a long, happy marriage. That opened up the floodgates again, with advice ranging from being forgiving and patient to being sure to marry a good cook. We sang “Won’t You Come Home Bill Bailey” to talk about forgiveness and saying, “I’m sorry,” and “The Glory of Love” to talk about the give and take of marriage. By that time, we were coming close to the end of our session. This group loves to play instruments, so we pulled out the drums and tambourines and maracas to play along with a recording of “Can’t Buy Me Love” by the Beatles while I showed people how to get good sounds from their instruments and encouraged folks to play louder. We ended the session by singing our traditional closing song, “The More We Get Together.” As I put my things away, the group was ready for a bathroom break before continuing with their exercise group and the rest of their party. We danced. In a culture that doesn’t really encourage non- exercise-based or alcohol-induced dancing past the age of 7, our group was moving to the music in dance moves that were, well, kind of silly. Everyone participated, and by moving to the music together, we brought our bodies and minds into the music-making experience. We sang. Today every member of the group sang at least part of a song, and many of them sang every song. Many of these seniors are kind of quiet by nature, but they all let their voices be heard. We shared some great stories. The music facilitated this sharing time by introducing the topic for discussion and giving us something to riff on (to use a jazz term). Singing also allowed the participants to warm up their voices and become engaged in the group experience. Interestingly, the group behaved rather musically while sharing their stories, giving each person a solo on the theme, listening attentively while each voice was shared, and coming back in as an ensemble to sing together periodically. Again, every participant shared something, some piece of a story or bit of marital wisdom. We made music. Bringing out those rhythm instruments at the end of the session once more allowed every member of the group to add their own rhythmic voice to the group’s music. Folks were watching each other, smiling, sometimes attempting to imitate each other’s playing and sometimes just holding on to the beat. Everyone was part of the music, and everyone’s voice mattered. Is this a typical session? To some extent, yes. I often follow this general outline of music experiences with older adult groups, but it is important for me to be able to adjust my approaches and the musical frames I bring to the group according to the participants’ needs on a given day. Are these typical outcomes? Again, I could say yes, to some extent. Everyone starts at a different ability level, and the people in this group are stronger in terms of verbal skills and gross motor skills than the folks I might see in a nursing home. One thing that is true, though, is that we often see MORE engagement and participation than expected based on a group member’s participation in other activities. It sounds like those folks were pretty entertained. How is music therapy different from entertainment then? I like to think of music therapy as “entertainment plus.” Yes, the participants in this group had a great time, and I don’t think I would be doing my job well if they didn’t! The thing is, I was able to use my expertise as a music therapist to facilitate music experiences that allowed the participants to engage in the session actively, sharing their own stories and their own voices, rather than sitting back to watch me sing and dance. We made music together. I cannot possibly describe how much I love bringing music to seniors and engaging with them in those musical experiences. If you are in the Kansas City area, I would love to bring music to the people you care for. You can contact me for more information. If you are not in the Kansas City area, you can visit the websites for AMTA or CBMT to find a board-certified music therapist near you. 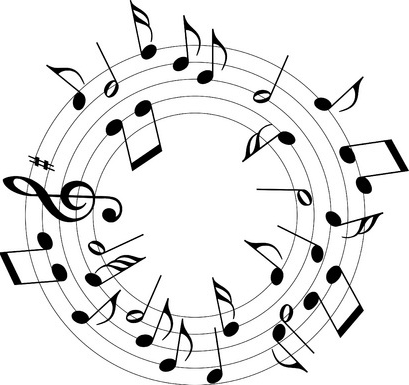 How have you seen seniors respond in music therapy sessions? I’d love to hear your success stories! Please share in the comments section below. Excellent post. Thank you for taking the time and care that you consistently do in order to share meaningful information. I especially like how you broke down your post so nicely, and that you spoke to the importance of the music therapist’s role in bringing residents’/clients’ participation to the forefront of their experiences. Thank you for your kind feedback, Erin! I hope this post will be helpful to you in educating the people you work with about what music therapists do, too. I thought that was a great post! I am a student music therapist and having a Valentine’s Day session sounds great! Awesome! I hope that’s an idea you can use!